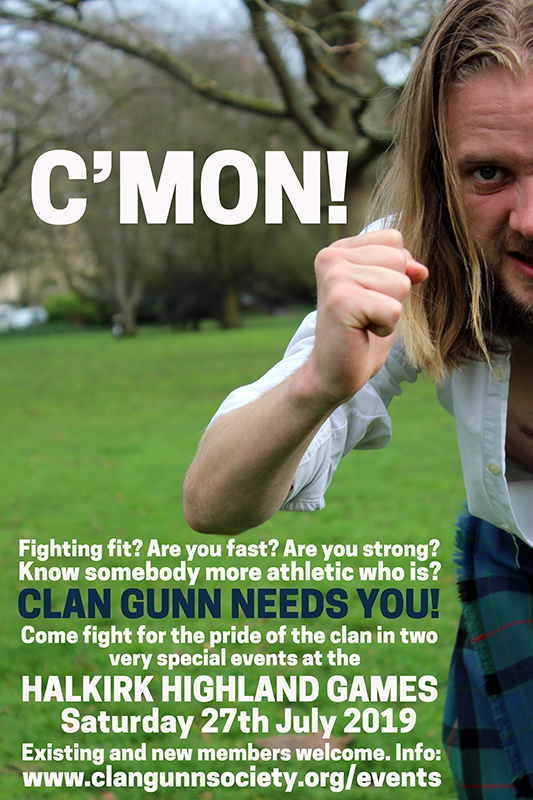 There has never been a better time to join Clan Gunn. With new E-Memberships available at just £5 per year (click HERE) , there’s no massive cost barrier. We’re also starting to introduce a whole range of fresh and exciting events to appeal to members old and new. 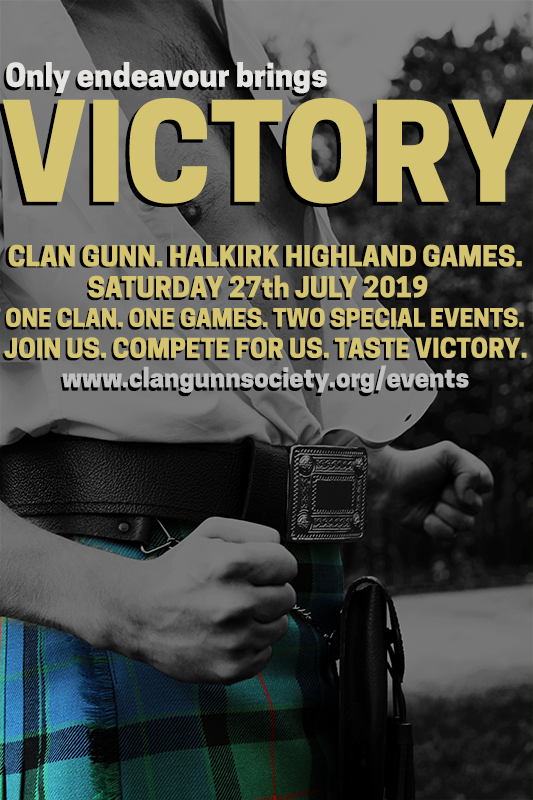 The first of these great new opportunities is participation in two very special events at the Halkirk Highland Games on Saturday 27th July 2019. So, for just £5 a year, you get an e-copy of our quarterly newsletter, The Gunn Herald, access to an incredible array of genealogical research into Clan Gunn and it’s Septs… on top of all that, you get the chance to join us in an increasingly diverse range of fun, sporting, cultural and historical events throughout the year. What are you waiting for? Come join us! !